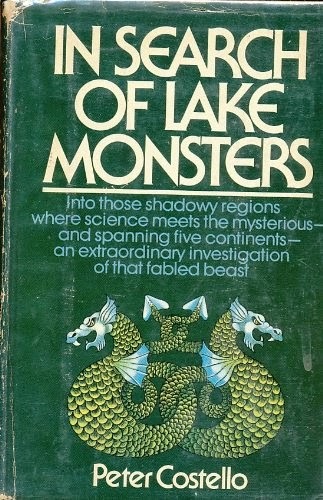 This year saw the republishing of Peter Costello’s classic 1974 work, “In Search of Lake Monsters”. I have recently purchased the Kindle edition and now share my thoughts on a book that was influential in my early years of cryptozoology. Back in those days as a teenager, I would probably have not classed myself as a cryptozoologist (if I had even heard of the term). However, my enthusiasm for the subject of freshwater cryptids was evident enough, and Costello’s book was ready and timely grist for the mill. The new edition includes an introduction by Loren Coleman, who interviewed Peter back in 2013. Peter Costello (pictured below) tells us that, like many, he was influenced by the 1960 Dinsdale film as well as the works of Bernard Heuvelmans. Indeed, Dinsdale had written his own book eight years before on aquatic cryptids, variously called “The Leviathans” and “Monster Hunt”. 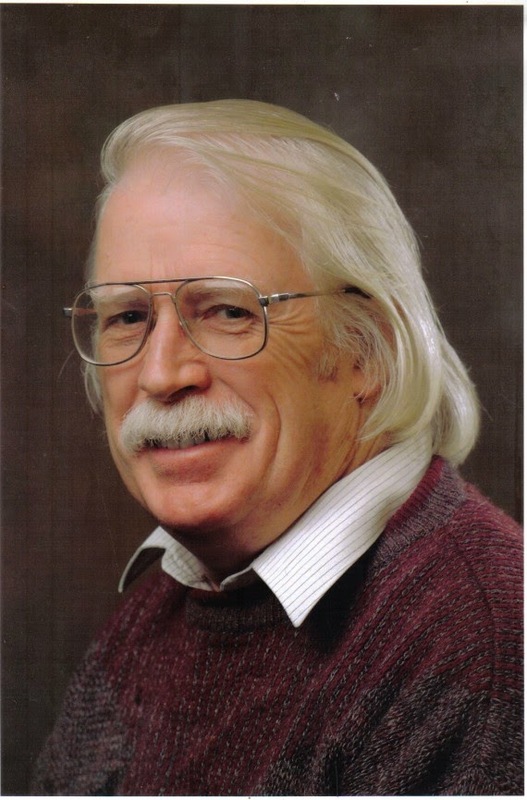 But, having been spurred on by these men, Peter wrote the first book exclusively devoted to freshwater monsters. Heuvelmans especially encouraged Costello to complete the work, and even stood back from the hundred page essay he had prepared on the Loch Ness Monster (now there is a piece I would love to read). In fact, Heuvelmans wrote a preface for the French edition of “In Search of Lake Monsters” and this is usefully included in this new edition as well. Costello and Heuvelmans shared the same idea that a long necked variant of the pinniped swam the oceans of the world, and in Loch Ness as well. Building on Oudeman’s Megophias megophias, Heuvelmans decided on the taxonomy of Megalotaria longicollis for this variant of sea serpent. It was during this enthusiastic era, that Nessie aficionados also went Latin with Nessiteras rhombobteryx. I was never a fan of the mammal theory. I just expected such an air breathing creature to be visible far more often – especially in the relative confines of Loch Ness. What Peter Costello himself believes now is not clearly stated in the new book. He merely satisfies himself to be classed as a retired cryptozoologist. I myself emailed him back in October 2014 as part of my research on a certain subject and I got the impression he was a bit more sanguine about certain aspects of the phenomenon. I still have the paperback edition from the 1970s and recently added the hardback edition as the paperback is beginning to show its age. In the case of the new edition, I completed the set by purchasing the digital version. I have been slowly building up a digital library of cryptid books, but this is a trickle rather than a flow. I would love to see the publishers (Anomalist Books), continue this theme with other classic works such as the works of Gould, Whyte, Dinsdale and so on. That is a long term aspiration, but the advantage of a digital book to a researcher such as myself, is the convenience of multiple books on one device, the cut and paste capability for short quotes and the ease of searching for key texts which are not always in the index. As to the book itself, clearly forty years has elapsed and had its effect. Some of the pictures he lauds have passed into hoaxdom, such as the Surgeon’s Photo. The unease he had concerning Frank Searle was confirmed shortly after. 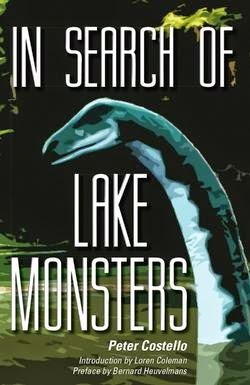 Other lake monster stories, such as the Lake Khaiyr of Siberia have proven fraudulent. As to specific eyewitness accounts, these will continue to be argued over as no researcher was there to see what was claimed. The section devoted to the Loch Ness Monster is large, over a third of the book. That is fine with me as Nessie is the lake monster par excellence. Peter starts at Loch Ness and widens the search out to other Highland lochs and beyond into North America, Europe and so on as Mhorag, the Pooka, Ogopogo, Manipogo, Champ, Nahuelito, Bunyip, Skrimsl, Waitoreke and the Storsjo animal get the treatment. Not surprisingly, Antartica is the only continent with no lake cryptid tradition, mainly due to the absence of lakes. All that aside. For me personally, the force of the book’s argument remains. I may not agree with his identification of the various animals described, but that there is a case to be answered rather than rejected remains.